Browse our range of spanners and sockets, available as individually or in handy sets. Choose from hex keys, torque wrenches, adjustable spanners, ratchet spanners as well as spanner and socket sets from trusted brands or try our own quality RS PRO range. Spanners and wrenches are hand tools that are used to tighten and loosen fixings such as a nut or bolt. The spanner grips the fixing, allowing it to be turned by applying torque. With so many types of spanner and wrenches available to be used with different fasteners, it is important to choose the correct type to ensure a good fit. They are available in various sizes, lengths and materials with different profiles and head types. Open-ended spanners - usually doubled ended with a 'c' shaped opening in different sizes at each end. A spanner set will comprise multiple sizes of spanner. Ideal for DIY, plumbing and mechanics when space is limited. Ring spanners - have an end that is enclosed in a full ring that applies even pressure when turning. Requires access to fit over the nut, the handle can be offset from the head to help with this. 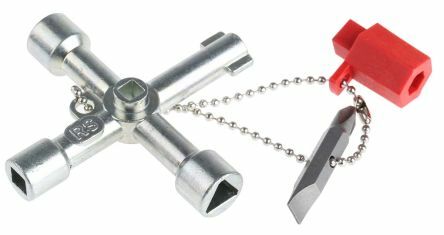 Combination spanners - have a ring end and an open-ended end in the same size to save carrying different types of tools to fit the fixing. Adjustable spanners - have 1 open end with a moveable jaw that can be adjusted so that the spanner fits different sized nuts and bolts. A common version is a monkey wrench. Ratchet spanner - use a ratchet system to allow the fixing to turn one way and not the other. 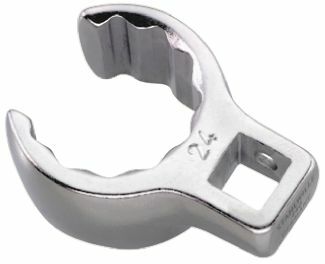 This allows fast removal as the ratchet wrench doesn't need to be removed and replaced after turning. Great for inaccessible fixings. Torque wrench - used to apply a specific amount of torque to a fastener. Commonly used with vehicles and wheel fittings as there are safety specifications to meet. Socket set - a socket covers the whole fixing, applying even pressure and make removal and tightening really easy. Sets are available with varying numbers of pieces in multiple sizes, offering a compact alternative to a spanner set. Size is important when it comes to selecting a spanner as an incorrect size could result in slipping or damaging the fastener, either rounding the edges or removing the head completely. Spanner sizes relate to the size of the fastener that will fit inside the jaws. Theyre available in either imperial (in) or metric (mm) measurement. 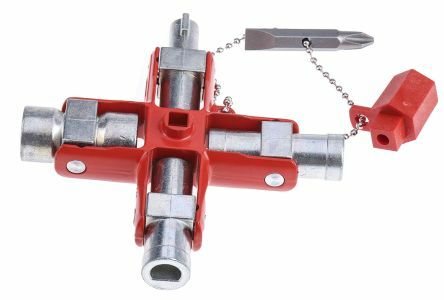 9 tips cross wrench linked with a chain, easy to withdrawAble to open most locks in buildings or factoriesOne PH2 and 7mm slotted bitUnique compact design that is light, strong and extremely convenient for multiple application. Bahco Heavy duty chain pipe wrench with gears on both side for working in either direction. Features & Benefits: Gears on both sides Strong Steel chain Jaws and handles forged from hardened steel Grey epoxy coated handles.